Join the Accela community and each week you’ll see how state and local governments are reshaping services and improving the lives of residents through digital innovation. 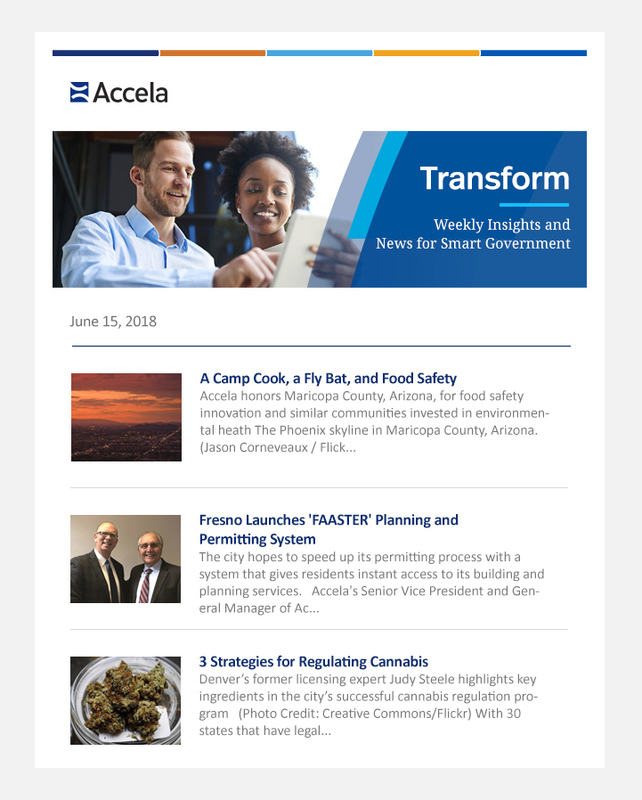 Transform, Accela’s newsletter, delivers practical advice via articles, strategy guides and interactive content to help you take advantage of the best in government technologies and become a trailblazer in your agency. Coverage takes on topics that impact services across the government experience, from handling back office technical issues to developing frontline solutions for citizens.